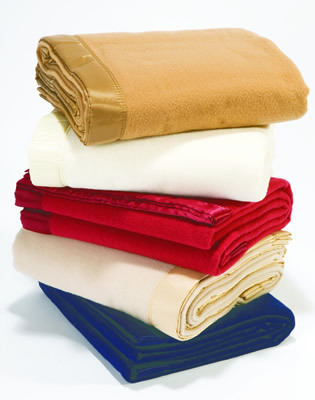 The all round satin bound 390grms Duchess 100% Merino wool blankets are available in 7 colours; White, Champagne, Powder Pink, Alaskan Blue, Camel, Navy and Cherry. All sizes are approximate and include two sizes of Baby Blanket. Delivery is Free of Charge on all orders within the UK. Overseas orders please contact us for a quote on 0845 2267388. 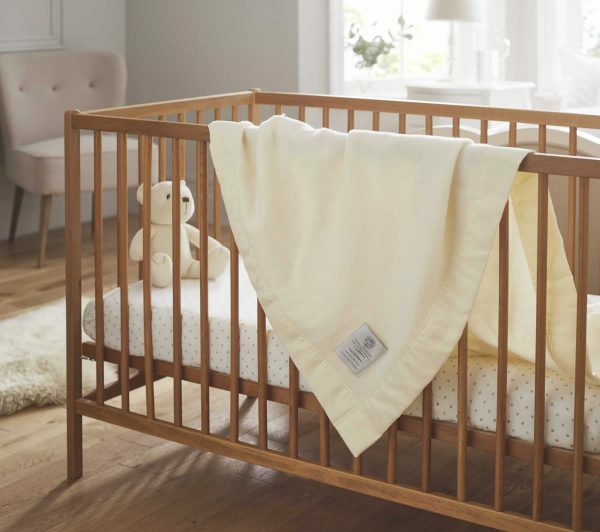 John Atkinson of Hainsworth are world renowned for the superior quality of their blankets, all of which are made at the Hainsworth Mill in Yorkshire, Great Britain. These Duchess Merino Wool Blankets are regal in name and beautifully soft and luxurious too, with elegantly bound all round coordinating satin. Merino wool is regarded as the finest and softest wool of all sheep, it is therefore the perfect natural fibre for making snugly soft blankets. These beautiful blankets will make great wedding gifts and are available in a choice of colours, so will appeal to all décor styles. If you are looking for a meaningful gift, then these traditional blankets are very fitting. They can be used as throws on a sofa to create a cosy nest for those ‘time out’ moments too. John Atkinson Duchess Merino Blankets have always been made to make a real difference when it is time to close your eyes and sleep. As wool is a 100% natural fibre it breathes while you sleep keeping you warm when it is cold and cool when it is hot – the perfect sleeping partner all year round!